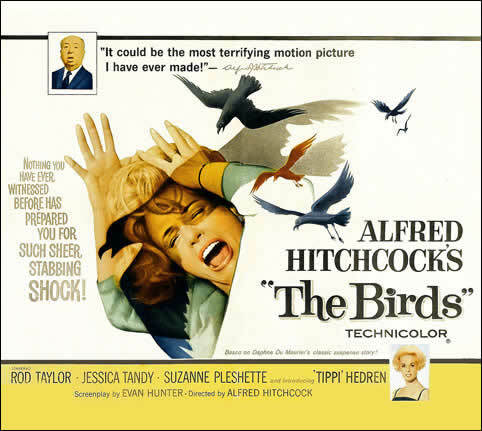 The 1963 advertising poster for Alfred Hitchcock's movie, The Birds. 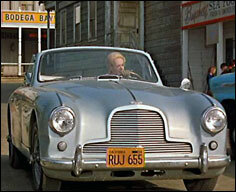 Melanie Daniels driving the 1954 Aston Martin DB2/4 through Bodega Bay. 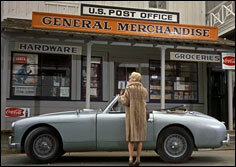 Melanie Daniels with the 1954 Aston Martin DB2/4 convertible in front of the Bodega Bay General Store.